Mission The Friars Club, a Catholic, Franciscan Ministry, develops valuable life skills in our youth through sports, education, and leadership programming to enrich their lives and our community. Serving Our Community Friars Club Ron Walker Youth Sports program builds character, develops valuable life skills, and promotes healthy lifestyles for more than 700 boys and girls. 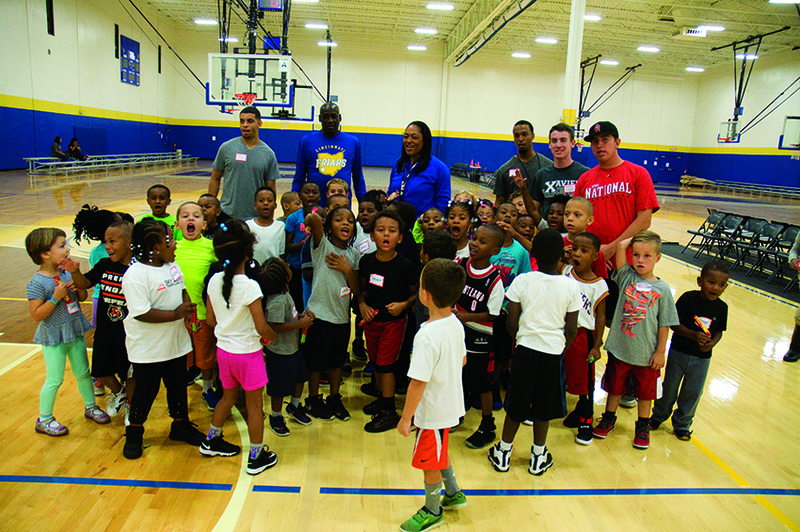 The RWYS program includes year-round basketball, spring baseball, and winter volleyball, as well as tutoring and mentoring in The Jeanne and Jake Sweeney Learning Center. Friars also recruits and trains junior high and high school students to mentor and coach our Junior Dribblers (grades K–2). The student coaches get the training, and the Junior Dribblers score the points. This is a win-win for all. Friars Club helps to keep more than 300 CISE (Catholic Inner City School Education) children on the right track by providing a healthy snack, homework time, and organized athletics after school. Power packs of nonperishable food are distributed to those in need to help them get through many hungry weekends.